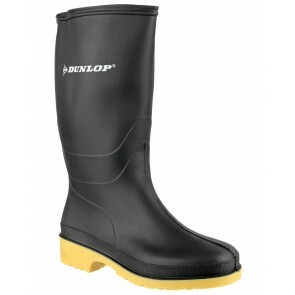 Wellies play an important role in the lives of professionals that work long hours in harsh conditions, and the Dunlop wellington boot range is designed with this in mind. 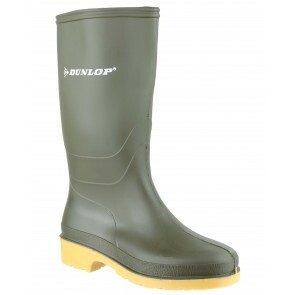 Dunlop produce a range of wellington boots that offer the protection and comfort required for agriculture, fishery, the food industry, construction and mining as well as general outdoor leisure for the family. Quality, choice and service. Welly Warehouse is widely recognised as the UK's leading online retailer of wellington boots, with over a decade of experience online. Wellies are our 'thing'. We were brought up in them, we live in them, and we work every day amongst thousands of pairs of them! Nowhere else will you find the same expertise in wellies, and we're proud of that. With all the top wellington boot brands to choose from, at prices checked every week against our leading competitors, here you can be sure you will always find what you're looking for, and at the best prices on the market. © 2015 Welly Warehouse Ltd. All Rights Reserved. All trademarks and trade names are the property of their respective owners.